@jinnantonix Nice work. I tried to run my own command seat mission but my computer couldn't handle it. @Angel-125 Do the snack processors or recyclers "process" in the background. Neither seem to be working unless the craft is in flight mode. No matter what I try it seems to say "Indefinite" in the duration window at the space center. Reaction mass for the engine module. A quick heads up ::) There will be (offical) 1.7 stuff coming up, mostly in the form of a few PRs and getting that locked down, after which there's going to be a separate pre-release that includes two things: - Atlas parts (the dome bits!) - W.O.L.F. Integration (this is the super nifty and new resource management stuff that takes MKS up another level. Or another way of looking at it, stock KSP is management at the vessel level. MKS brings in colonies and outposts. W.O.L.F. adds a layer above that, and deals more with managing multiple colonies with a completely different resource management system at an easier to manage abstraction layer (and gets rid of all of those pesky background processing and interplanetary transport issues). @DoktorKrogg and I are also working on something special that tacks onto W.O.L.F. W.O.L.F. is not an MKS replacement any more than MKS is a replacement for the stock resource system. Rather, it's a system that layers on top and adds more goodness. Since it's a massive change both in terms of design and will probably result in people's brains sloshing around a bit (and also have it's share or tweaks, etc.). there will be an opt-in download available for pre-testing This pre-release will also include all of the Atlas bits as those are ones I also would like to get some feedback on from some of our more enthusiastic and involved players. Speaking as a poor guy, I don't actually own Making History(I even made a bit of a comment about this way back during the announcements when I asked about early access Steam users getting the expansion pack), which means that no, it's not even remotely a part of that since you can do this entirely within the base game with some manual save file fiddling. 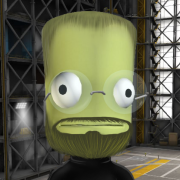 On the note of someone not making a scenario for KSP up until now, it's not exactly the same thing but I believe Kethane used to have a tutorial, or at least this guy from a thread that I can no longer find said that it might've. I know there have been a bunch of threads with people asking about how to create custom scenarios as far back as 2012 but as far as I know, this is the first one publicly released. As for the entire managing to do the exceedingly rare comment, I'm not sure if it needs a response but might as well be thorough here:Well, where there's a will there is definitely a way, and I suppose I was sort of driven to get my name on the pages of history. That is certainly one way to get someone to innovate for new categories for gameplay, by promising them a page on history and also to be the first one to truly break ground there. Semi-related fun fact:The entire name of the scenario(Making Scenariory) is a reference to the Making History expansion pack. I know I can add SAS to the Stayputnik myself but frankly, that means I have to wait for another while after each update, plus sometimes I want the challenge. Plus, to be honest, I wouldn't be too angry about this if the Stayputnik wasn't alone, but there's basically an option when starting new games that you could literally rename to "Enable SAS on Stayputnik"(referring to the option to "Enable SAS on all probe cores") because the Stayputnik is the only one without SAS. Even the Rovermate has SAS for some reason. This option is a minor problem when it comes to custom scenarios, and especially a big problem the very basis of Making Scenariory, where you're not supposed to have SAS. Ah, no worries man, I'm a bit surprised I'm the first to break ground here. I hope others do start doing the same, although I might make a scenario editor to help others get into this, seeing as it is a little fiddly to work with. There is SO much potential with scenarios it's not even funny. Some final things I thought I'd talk about... A problem I encountered with making custom scenarios, which frustrated me a bit, is that you cannot turn off the SAS for all probe cores in scenarios, unless presumably you modify how scenarios work directly in the engine. I do not know why this is the case, considering all the other options from the commsnet to even some more obscure and really random ones(I mean, seriously, who needed to ability to disable the MAIN MENU!?) work just fine, but there might be some work arounds for it, maybe even just making a custom probe part that is somehow exempt from this difficulty option. Now, scenario, I've poked around a little but I'm still breaking ground on what you can and cannot do, but honestly, there is a LOT you can do in this game that I'm surprised your even allowed to do. My favorite one, the thing I think might become popular with most scenario creators, is the fact you can literally define CUSTOM TECH TREES for your scenario. This you means you TOTALLY can do a more difficult KSP without even needing to touch the existing tech trees or fiddling with mods. I think you can even get it to not look in the gamedata folder but just the general KSP Folder for these tech trees, which offers a lot. I think there is a way to also add the tutorial's popups to scenarios, but I haven't really tested it yet, but if this is the case, we are looking at some insane possibilities with scenarios. Honestly, since 0.17, Squad hasn't done much with scenarios, and it feels like a crime because the scenarios are so versatile and even have the ability to work in career and science gamemodes, it really feels like it's a crime that must be rectified by the community. This scenario isn't my first foray into the scenario scene, by the ways, but it is the first successful one. My original first had you dealing with 4 parts and was designed as basically a challenge to get to the moon, but I got delayed heavily as a result to a hard drive crash that basically destroyed my steam to tinker with KSP for a while. 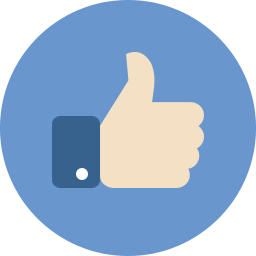 I am still somehow really bad at forum posts apparently, because I accidentally screwed up. Whoops. I'm also confused about how to use the map decals. I looked through the first fiveish pages of the thread but I'm still lost. Can someone point m in the right direction? Q-ver KSP replied to vexx32's topic in Forum Games! Granted, you get a job, but your designs are so Kerbal that they all blow up, and you get fired. I wish I had cookies. Option 4 is interesting, as the people who are likely to want to mix and match mods probably have a good overlap with the people who have B9PS installed. separately, the parts are looking very nice! Equal parts frugalness and ineptitude, with a dash of bad luck. Since 1.6 I've been seeing more frequent random crashes with really no clue where they come from, so I've been spending time since 1.7 chasing exceptions in the KSP.log. Today I found a fix for a TypeLoadException I was getting during startup. I know KSP plugins should target .NET 3.5, but how critical is this? Could this be a source of random crashes or is it just sloppy programming by the modders? What I tracked down is: Decoupler Shroud was compiled against .NET 4.6.1 Dynamic Battery Storage (Near Future Electrical dependency) was compiled against .NET 4.0 Docking Port Sound FX was compiled against 4.5.2 Recompiling locally against .NET 3.5 clears the exception. I found these by downloading the problem mods and checking the project properties in Visual Studio. I double checked the rest of my mods with dotPeek and didn't find any other issues. If a mod reads this: I'm not sure where this topic should go. Granted, you get explosive mouthwatering steamed clams. I wish I had unlimited power. Mars-Bound Hokie replied to kenbobo's topic in Forum Games! Ah, I was wondering where that kid's shoe ran off to. Waiter, there's soup in my soup. Some words should result in capital punishment. Maybe making Kerballed rovers more useful too. How do you calculate the time needed to reach a celestial body? Im not going to Duna though.